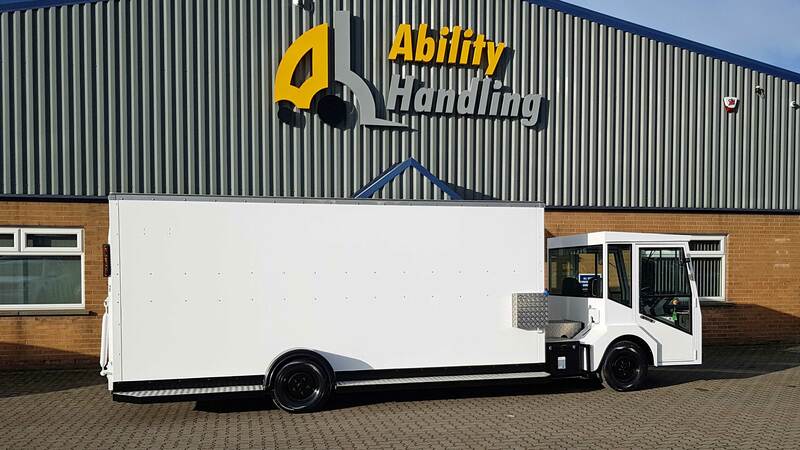 Ability Handling has recently completed a full overhaul of a Smith's EasyLoader vehicle for the Ayrshire and Arran Health Board. This magnificent vehicle has had a complete refurbishment to return it to its former glory and ready for another ten years of service transporting wheeled trollies around the hospital complex. By coincidence, the very first EasyLoader was built in our Sheffield premises way back in 1992 and some of the staff that built those original prototypes - for Springfield Hospital in Tooting - worked on this rebuild. Although there has been many design changes over the years, the same basic configuration has survived and this particular model features the maximum payload and cargo space ever achieved. The innovative design of the EasyLoader comprises a front drive steer axle with trailer type suspension at the rear to achieve a load height of less than twelve inches and thus eliminate the need for a tail lift. This dramatically reduces the load/unload times and is inherently safer than lifting the trollies to a height; features not lost on the operators who have had to endure a conventional vehicle while the EasyLoader was undergoing refurbishment! With full workshop facilties, Ability Handling are able to refurbish any Smiths manufactured vehicle and given the durable construction they are easily able to operate for a full second life once a full overhaul has been completed. For all your electric vehicle requirements please contact us today!